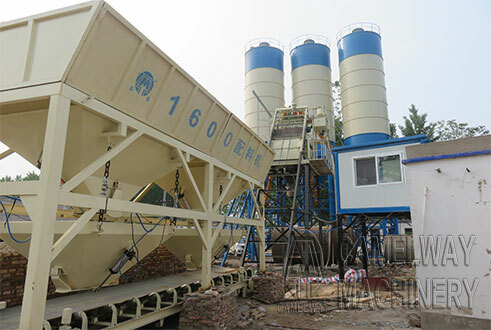 1.The concrete mixing plant adopted the SICOMA JS-serial host mixer machine or self-produced host machine, this type of concrete batching plant has high capacity of mixing, can mix evenly and quickly and high productivity with lifespan up to over 50,000 tanks. 2.With aggregate weighing scale, it can take short time to offer high precise measuring. It has small absolute tolerance value, high weighing precise and high reliability and good safety performance. 3.The concrete batching plant applied with water supplying pump, it can accelerate the flow speed and evenly spray. 4.Applying with large or small inclined angle belt conveyor for aggregate charging, it can ensure long service life and high work efficiency. 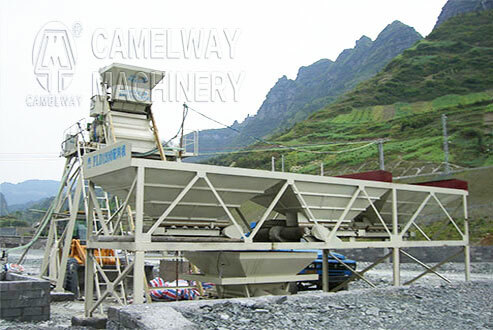 5.Zhengzhou CamelWay Machinery adopted the computer control system make the concrete batching plant easy operation. How much money a concrete mixing plant need?